Wallace Cars invites drivers from throughout the Greeneville and Bristol, Tennessee area and Southwest Virginia to shop our two full-service car dealerships in Kingsport, TN. With a Nissan and Mitsubishi dealership, each offering new and used vehicles for sale plus quality auto service, the dealerships of Wallace Cars can be your one-stop shop for all of your automotive needs Johnson City, TN. If the new Nissan Altima or Mitsubishi Eclipse Cross has caught your attention, then shop and visit Wallace Cars dealerships for your next vehicle in stock at a competitive price! Both of our dealerships in Kingsport, TN feature a huge selection of new vehicles as well as used cars, SUVs and pickup trucks for sale. 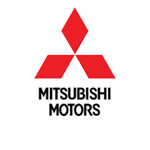 Plus, all new Nissan and Mitsubishi vehicles sold here comes with a Lifetime Warranty! Thanks to our on-site finance staff and parts and service teams, drivers from nearby Greeneville, TN can enjoy a full-service dealership experience here. From financing your new Nissan to returning for top-quality auto maintenance, turn to Wallace Cars. The complete lineups of two of today's hottest automakers are available here at Wallace Cars dealerships. 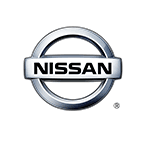 When you shop at our dealership campus in Kingsport, TN, you can explore and compare the latest models from Nissan and Mitsubishi, including the new Nissan Altima sedan and Mitsubishi Outlander. If you are looking for a pre-owned version of your favorite Nissan or Mitsubishi model near Bristol, TN, then shop the used car inventory of Wallace Cars dealers right now. It's easy to shop for a quality pre-owned SUV on our website; use the convenient search filters to find your next ride now! New and used car buyers can turn to our in-house finance staff for hassle-free auto loans. Our finance departments proudly work with car shoppers of all credit backgrounds, so whether you are looking for a low rate on your new Nissan that matches your great credit score or you need an alternative financing package for your used Mitsubishi purchase, we're here to help! No matter what make of car, SUV or pickup you drive, you can count on the professional service staff at Wallace Cars dealerships for top-tier automotive maintenance. Our service departments feature factory-trained technicians that are also ASE Certified to work on many makes, so don't hesitate to schedule a service visit. With dedicated parts departments for both Mitsubishi and Nissan vehicles, Tennessee and Southwest Virginia drivers of both of these makes can find the genuine factory-replacement auto parts they are after. At Wallace Cars, we always aim to provide our customers will all of the online tools they need to obtain the automotive services they require. From shopping our new and used car specials to finding out the value of your trade, you can do it all here on our website.